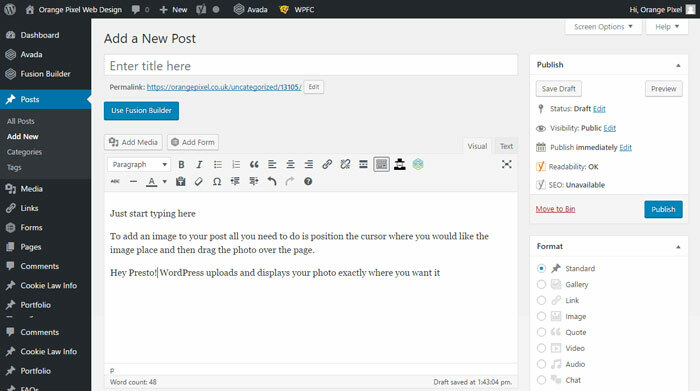 Themes in WordPress are, to the uninitiated, a system of templates for your website to work from. In fact they are far more than this and provide a full web design ecosystem including advanced functionality. At Orange Pixel we have never shied away from using Premium themes, many are excellent and the fact that someone else has done a lot of the background coding means that we don’t reinvent the wheel every time we make a site and can keep our prices lower than that of other top web design agencies. Plugins are great and there are some that we make use of on every website that we create. For example, there is one that makes SEO (search engine optimisation) very easy, another that adds the ability to put a message (required by law) about cookies in use on the site) and another that protects your site from spam comments. Plugins extend the functionality of a WordPress website, some are free, some you have to pay for. We select the best ones to achieve what you need to do on your website. 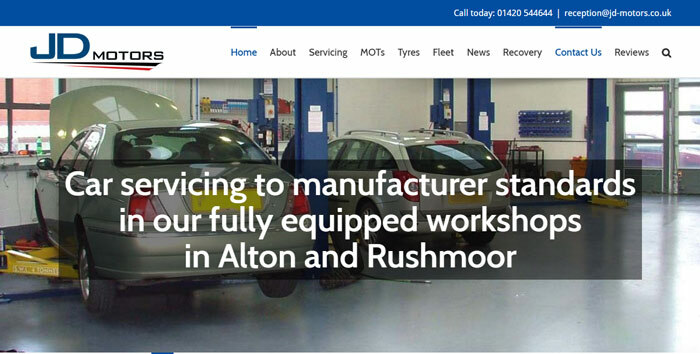 If we can’t find one ready-made we’ll make it for you! 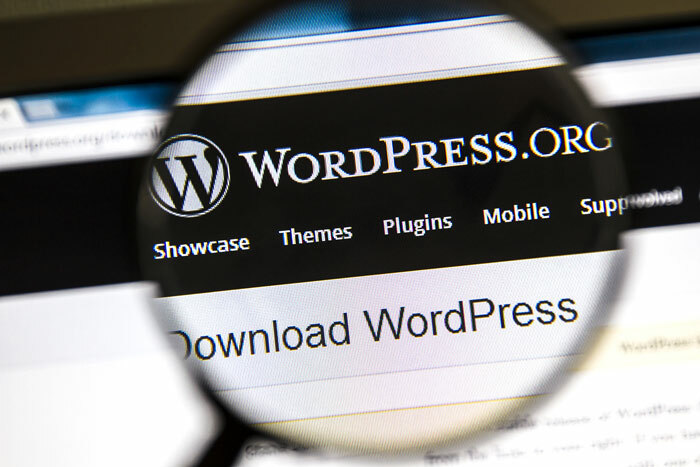 WordPress is the number 1 CMS in the world for many reasons but perhaps the most important is how easy it is to add pages and blog posts once the site is up and running. In addition Orange Pixel can train you and/or your staff in some of the more advanced aspects of creating a page or post such as using a visual page builder and tips and tricks for preparing photos for your website. Many of our customers, while comfortable with using WordPress, have taken the decision to just ask us to do it all for them. We have a range of support packages covering simply keep WordPress up to date through to adding, removing, creating and changing all content as well as performing all technical support.